How to Backup PC Files to iCloud - iMobie Inc.
How to backup Windows files to iCloud? This guide will help you get the way to backup PC files to iCloud in 4 easy steps. Free download AnyTrans on your PC and try to backup Windows files to iCloud as you want with the steps below. In modern life, people usually work with computer, in which you keep the information used in daily life. Sometimes your PC computer is not on hand, but you need the files on your computer urgently. At that moment you may think if only you keep the information in your iPhone/iPad/iPod. Then how to make it? 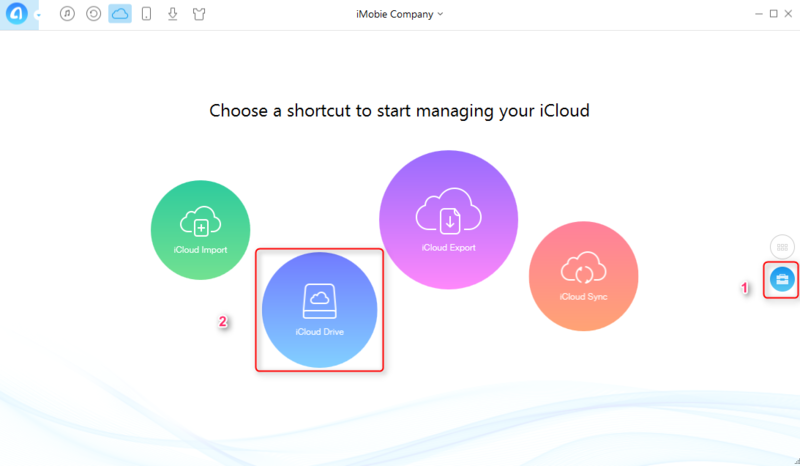 It is easy, you can backup your PC files to iCloud Drive, and then log in iCloud account on your iOS device, open iCloud Drive and download iCloud Drive app (iDevice should be iOS 9 and later) from app store. And next you can view the files from iCloud Drive app on your iOS device. And in this article, we will teach you how to backup Windows computer files to iCloud with iCloud Drive in detail. 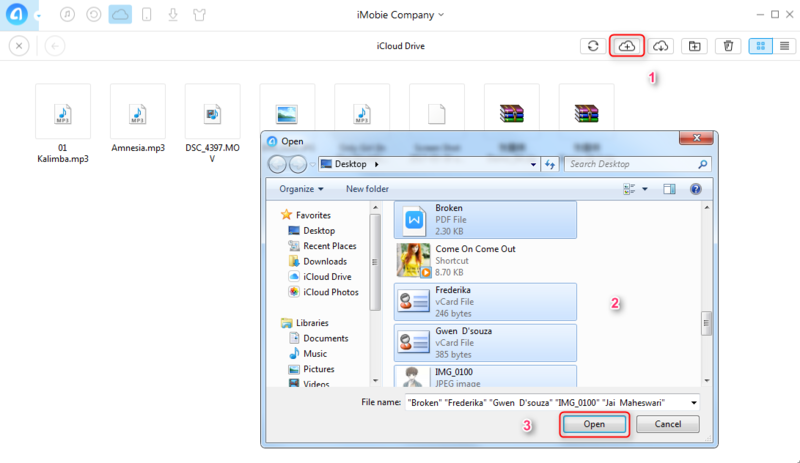 Actually, you can upload PC files to iCloud Drive on iCloud.com, and if you are tired of iCloud.com, you can try another alternative method - iMobie AnyTrans to backup PC files to iCloud easily. Please keep reading and learn the way with the following steps. AnyTrans is a powerful all-in-one iOS content manager, and now with the new iCloud content management function, you can backup your PC files to iCloud without effort. You can add any types content to iCloud Drive freely and then view the data on your iDevices directly. Moreover, AnyTrans also enables you to backup your iPhone/iPad to iCloud, to download iCloud synced data to your computer such as notes, contacts, calendar and more. How about downloading and giving AnyTrans a try? And then follow the steps below to backup your Windows computer files to iCloud. Step 1. 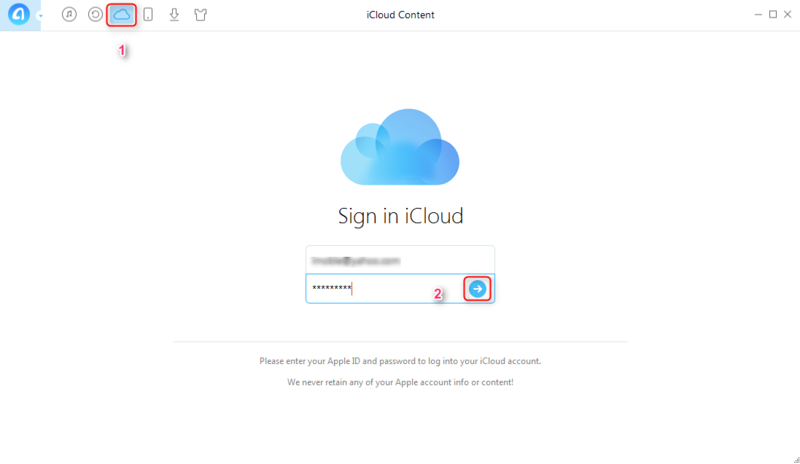 Download and open AnyTrans on your computer > Click “iCloud Content” > Log in your iCloud account and password. Note: Apple will not let you log in your iCloud account on the third party app with turning on TWO-STEP VERIFICATION, so please turn off TWO-STEP VERIFICATION temporarily. Step 2. Click > Click “iCloud Drive”. Step 3. Click button > Select files you want to backup > Click “Open”. 1. Keep your computer connect over Internet during the process. 2. The button is for deleting, button for adding new folder, and for downloading content to computer. Then you can access the PC files from iCloud Drive app whenever you need by the steps in the screenshot below: Settings > iCloud > Open iCloud Drive > Download iCloud Drive app from App store > Open the app and view the files. With the help of AnyTrans, you can backup your PC files to iCloud with ease. You can also transfer songs, videos, contacts and more than you think from computer to iTunes or to iOS device. Download and try it now!